The kitchen is the heart of any home and deserves a really unique and stunning finish to complement your style. Our stone countertops are the perfect addition to any home, whatever your taste. 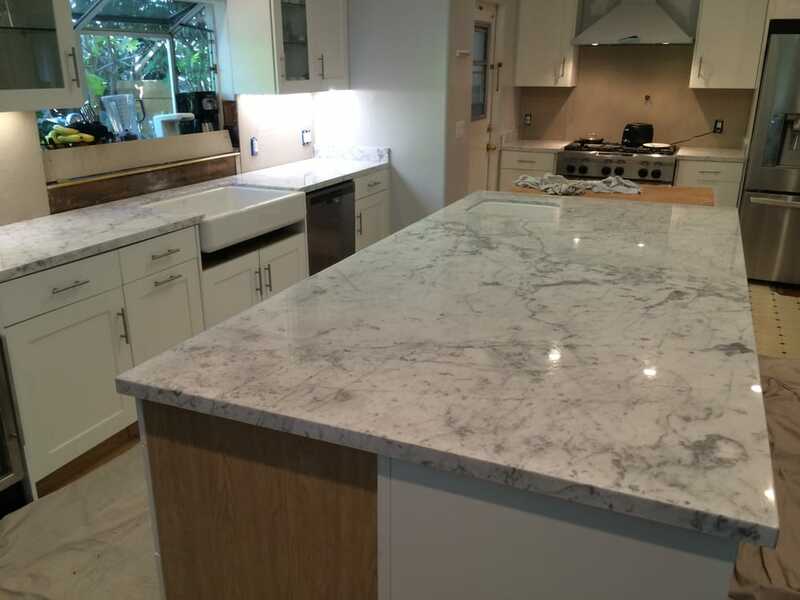 Why not give your counters an upgrade with our wide range, or even install a brand-new island complete with a marble benchtop? Our specialist team pride themselves on their expertise for making exquisite fireplaces for the home. Whether you are looking for a simple addition to an existing feature or a complete overhaul to create a statement, we can produce the perfect fireplace to suit you. Give your bathroom the look of luxury with one of our bathroom vanities. The epitome of class and elegance, from classic marble to contemporary quartz, we have the perfect finish to complete your ideal bathroom. The wonderful thing about our natural stone products is that they are not just practical, they also made a beautiful addition to any home. Protect and decorate your kitchen at the same time with one of our splashbacks or create a gorgeous statement with a feature wall. We provide the perfect combination of functionality and visual appeal for any style.